OREI HDMI splitters are convenient to have if you have more than one television or device and want to distribute A/V signals to all of them at the same time. They tend to come with various port configurations. The port configurations determine how many devices may receive the signal simultaneously. Take the OREI HD-108 splitter as a great example. It can accommodate up to 8 devices at a time. It is also compatible with a large assortment of audio and visual formats. Not every HDMI splitter on the market today has those highly coveted capabilities. Speaking of which, some of the OREI HDMI splitters are 3D enabled and capable of being used with various HDMI extenders. The 3D enabled splitters and extenders are ideal when you want to transmit a 1080p video resolution signal for distances in excess of 200 feet. The OREI-HDMI splitter that we mentioned previously is 3D enabled. Other models that have 3D support are the OREI HDS-102, OREI HD-202, OREI HD-602, OREI HD-104 and the OREI HD-102. The other great thing about some of those models is that they are 4K/2K resolution compatible. Just in case you are unfamiliar with those formats, they utilize horizontal resolution. In doing so, those formats are able to produce an image better than 1080p. Thus, they are often used to create superb, digital programming and video games. 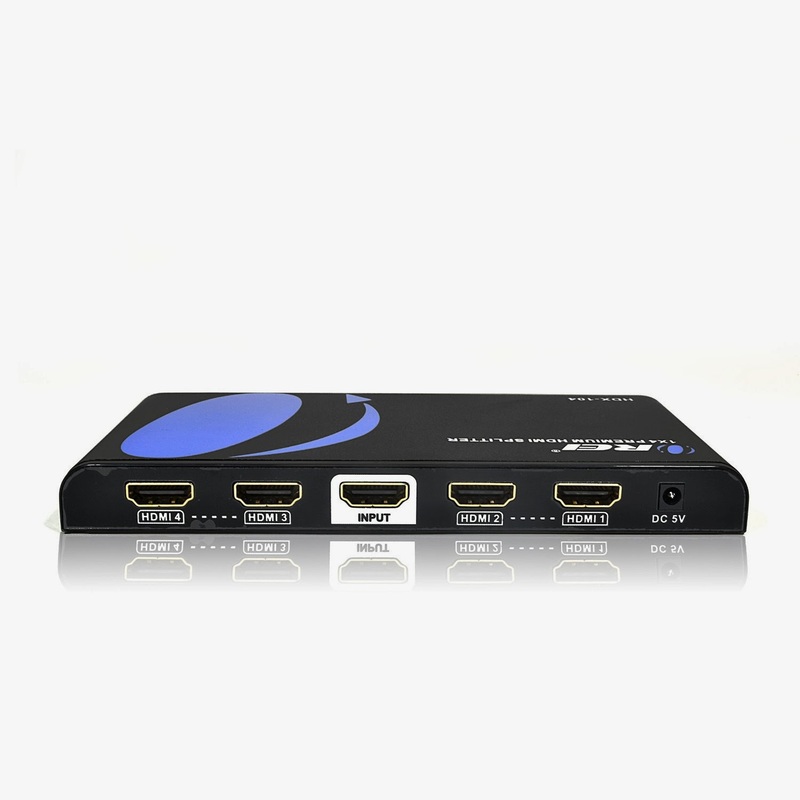 The list of HDMI splitters that have 2K/4K capabilities includes the OREI HD-202, OREI HDS-102 and the OREI HD-602. We should also mention that the OREI HDMI splitters are frequently paired with OREI HDMI cables that are less than 25 feet in length. The cable length has an impact on the signal’s strength as well. That’s why it’s best to use a high quality, short one whenever possible. The list of HDMI cable lengths available through our online store includes 3 feet, 6 feet and 12 feet. For more information on OREI HDMI splitters, please contact us at Bombay Electronics. Our learned electronics experts may be reached by calling (877) 736-6349 or through our site’s live chat option. Wow, I didn't know that companies still produce DVD players. I use my laptop both to write my college research paper and to watch movies. It feels strange that some people need a device to watch movies separately.